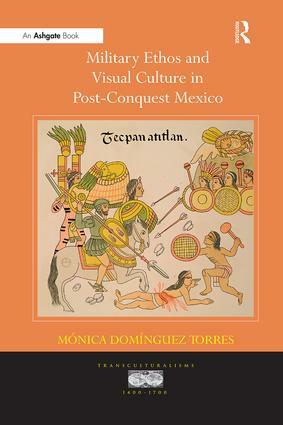 Bringing to bear her extensive knowledge of the cultures of Renaissance Europe and sixteenth-century Mexico, Mónica Domínguez Torres here investigates the significance of military images and symbols in post-Conquest Mexico. She shows how the 'conquest' in fact involved dynamic exchanges between cultures; and that certain interconnections between martial, social and religious elements resonated with similar intensity among Mesoamericans and Europeans, creating indeed cultural bridges between these diverse communities. Multidisciplinary in approach, this study builds on scholarship in the fields of visual, literary and cultural studies to analyse the European and Mesoamerican content of the martial imagery fostered within the indigenous settlements of central Mexico, as well as the ways in which local communities and leaders appropriated, manipulated, modified and reinterpreted foreign visual codes. Military Ethos and Visual Culture in Post-Conquest Mexico draws on post-structuralist and post-colonial approaches to analyse the complex dynamics of identity formation in colonial communities. Contents: Introduction; Grasping the military ethos of 16th-century Mexico; In the sign of the Cross: the making of new Christian knights; Blazons of AnÃ¡huac and the language of allegiance; The spectacle of war: ancient insignia for the colonial present; Epilogue; Bibliography; Index. Mónica Domínguez Torres is an Associate Professor in the Department of Art History at the University of Delaware, USA.